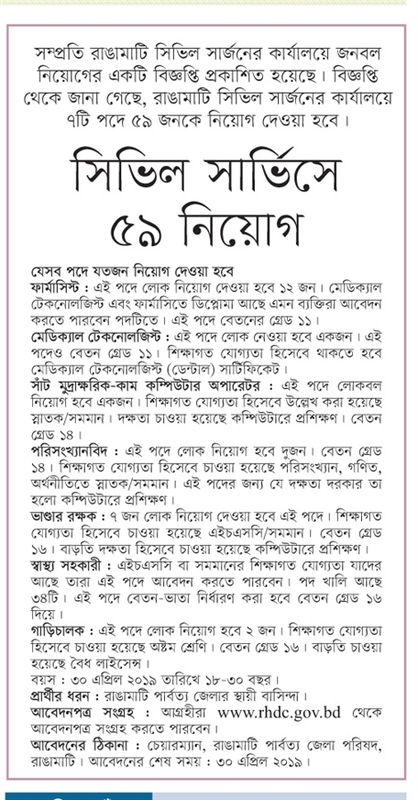 Govt Jobs from Civil Surgeon Office has been published.Hope you will get the truth and detailed news through us.Bapard has circulated job circular in recent times.This is your chance to share your story and connect with job field in our country. As a hoping for a job, you’ll represent your skill and qualification. You can apply through the post office. 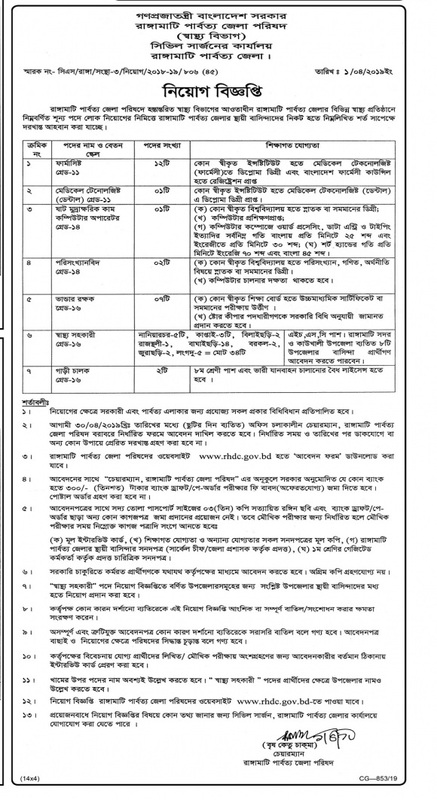 Civil Surgeon Office authorities published the notice for jobs in their team. Our Lekhaporabd Jobs team has converted the notification into an image so that you can download and read later. Below is a short summary and you can see the full picture of the notification below. To download the image, click on the image to save image or give a screenshot. The Civil Surgeon Office of Patuakhali was established in 1969. The same year when Patuakhali District was also established.Dr.Abdul Mannan was the first Civil Surgeon of Patuakhali.The Civil Surgeon Office started functioning at Deputy Commissioner,s building,Patuakhali in 1969.Then it was shifted from there to the present location at old Hospital Road,Patuakhali in 1982.Dr.Md. Salim Mia have taken over the charge of Civil Surgeon of Patuakhali on 10/01 /2016. I am the 44rd Civil Surgeon of this districts.Patuakhali is one of the 19 (Nineteen) districts of Bangladesh. Our district Patuakhali is also called “SAGOR KONNYA” because of the famous coastal tourism area named “KUAKATA” is situated in this district along the bank of the bay of bengal. Patuakhali district comprises 08 (eight) Upazilas and 73 (Seventy ttree) Unions. The Population of this district is 16,17,018. There are 07 (Seven) Upazila Health Complex in the districts . Of these 05 (five) UHCs are 50 bedded. Emoc Services are available at 250 bedded General hospital, Kalapara UHC and Bauphal UHC. we have achieved the best performance award in Emoc for consequtive 09 times in Bangladesh. By this bulletin we are able to inform the of Banladesh about the pattern of the disease of this locality and about the service given to the patients. I hope all the information included in this bulletin will help for planning and bridgeing the gaps in this district. thanks to all who were relatd to this publication . Dr.Md.salim Mia ,Civil Surgeon,Patuakhali.